The father of one of Latarsha Sanders other children spoke exclusively to NBC 10 Boston Investigators on his reaction to the news that she allegedly murdered two of her children. The NBC 10 Boston Investigators have found a violent, troubled past for the Brockton, Massachusetts mother accused of stabbing her two children to death. 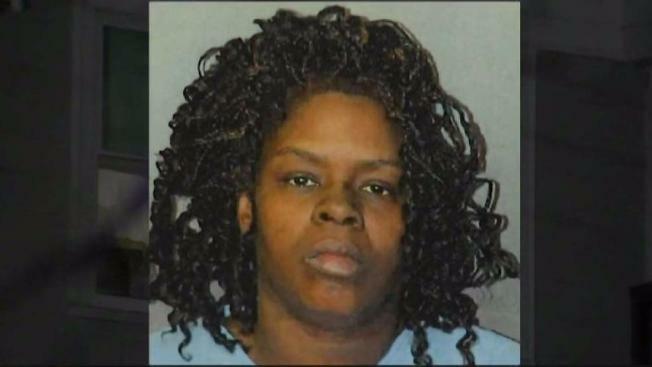 Latarsha Sanders, 44, allegedly murdered her 8-year-old son Edson and 5-year-old son Lason Brito, who were discovered in their beds in a third floor apartment on Prospect Street on Monday morning after authorities said Sanders asked a neighbor to call 911. The officer who found the children on the initial 911 call had dealt with the family before on pre-eviction proceedings and when Sanders accused the children’s father of assault and battery on her last April. Family describe Sanders in court records as an “evil and angry” person. Court records show Sanders showed up at her mother’s house Monday around 11 a.m. and she was reportedly “out of it…zombielike,” yelling that her mother killed her father. When asked where her two young boys were, she refused to answer. The father of one of Sanders' other children spoke exclusively to NBC 10 Boston Investigators on the condition that he remain anonymous. He says he was in a relationship with Sanders for less than two years and that she had a temper 18 years ago when he first met her. His son lived in the triple decker until a month ago when he told police he was kicked out over rent. Medics say when they first arrived they were told Sanders was having a seizure, but records show a senior paramedic and EMT said it was a “psychiatric episode.” While being interviewed by police, records show she repeatedly fell asleep and mumbled. The NBC 10 Boston Investigators questioned the director of the Division of Children and Family Services Tuesday afternoon, inquiring whether the family was in the DCF system and if not, should they have been with the mental health concerns and criminal history. The director refused to answer.